NASA’s F-18 will fly at or above 32,000 feet when it goes supersonic off the eastern coast of Florida. The F-18’s flightpath is positioned in efforts to keep the strongest-sounding sonic booms away from residential areas, while still producing sonic booms over Kennedy Space Center, where the sonic boom sound will be collected by microphone arrays on the ground. While sonic booms will be more audible on the beaches north of KSC, Cape Canaveral Air Force Station will hear “muted,” or quieter, sonic booms. Areas including Port Canaveral, Cocoa, Port St. John, Titusville, Mims, and Scottsmoor are likely to hear a sound closer to the rumble of distant thunder, though people may hear an occasional “muted” sonic boom. NASA’s research to advance supersonic flight will take wing over the launch site for the agency’s storied space program in August. Teams and aircraft from NASA’s Armstrong Flight Research Center in California, and Langley Research Center in Virginia, two of the agency’s centers that conduct extensive aeronautical research, will deploy to Kennedy Space Center in Florida for a nearly two-week flight series campaign. The historic spaceport will play host to the second series of Sonic Booms in Atmospheric Turbulence flights, or SonicBAT, continuing from 2016’s successful supersonic research flights flown at Edwards Air Force Base in California. SonicBAT helps NASA researchers better understand how low-altitude atmospheric turbulence affects sonic booms, which are produced when an aircraft flies at supersonic speeds, or faster than the speed of sound. The upcoming flight series is a key initiative in validating tools and models that will be used for the development of future quiet supersonic aircraft, which will produce a soft thump in place of the louder sonic boom. “In SonicBAT, we’re trying to figure out how much atmospheric turbulence changes sonic booms,” said Ed Haering, SonicBAT’s principal investigator at Armstrong. The initial series of SonicBAT flights provided NASA with data on the effect of atmospheric turbulence on sonic booms in a dry climate. The upcoming flights will continue that effort by collecting data in the same fashion to measure the effect of the humid climate of Florida. “Turbulence can make sonic booms quieter, or it can make them louder. Last summer we tested in the hot, dry climate of Edwards Air Force Base. We know that humidity can make sonic booms louder, so we need to test some place wetter, and Kennedy fits that bill,” Haering said. Atmospheric turbulence can influence the way sonic booms reach the ground, but the influences may be different between humid from dry climates. Having performed SonicBAT tests in the dry climate of NASA Armstrong Flight Research Center, located on Edwards Air Force Base in California, testing is ready to continue in a more humid environment. NASA’s Kennedy Space Center in Florida will host the second round of SonicBAT flights, providing the ability to perform research flights in humid conditions. Sonic boom signature data will be collected from these tests using audio equipment to capture noise levels both above and below the turbulence layer, which will provide a comparison of the sonic boom both before and after it travels through atmospheric turbulence. To do this, a NASA Armstrong F-18 will take off from Kennedy’s Shuttle Landing Facilty and fly off the coast of Cape Canaveral at an altitude of 32,000 feet. The F-18 will fly a designated flight path where it will exceed Mach 1, the speed of sound, and produce a sonic boom. Meanwhile, NASA also will fly a TG-14 motorized glider, equipped with a wingtip microphone, at an altitude between 4,000 to 10,000 feet, which is above the low-altitude turbulence layer. At the test point, the TG-14 will temporarily shut down its motor and glide. This will eliminate any unnecessary noise, ensuring that the wingtip microphone will pick up a clean, accurate sonic boom signature before it travels through any turbulence. 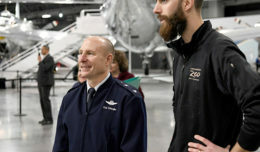 To collect signatures of sonic booms that travel through the turbulence layer, NASA, along with partners Wyle Laboratories and Gulfstream Aerospace, will arrange two microphone arrays on the ground at Kennedy, each with 16 microphones to collect data. The project aims to collect data in three different conditions, including low turbulence, medium turbulence and significant turbulence, to obtain a stronger understanding of how the variations impact sonic booms. To monitor these conditions, NASA meteorologists will be on-site using anemometers to measure wind speed, a sonic wind profiler to measure wind conditions at low altitude, and a flux sensor to measure changes due to humidity. 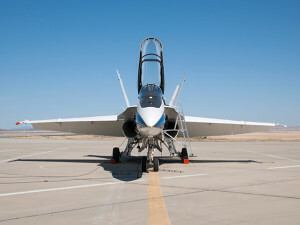 NASA is expecting to fly the F-18 two-to-three times per day, starting Monday, Aug. 21 and will conclude the end of the month or early September, focusing on collecting data on a targeted minimum of 33 sonic booms. 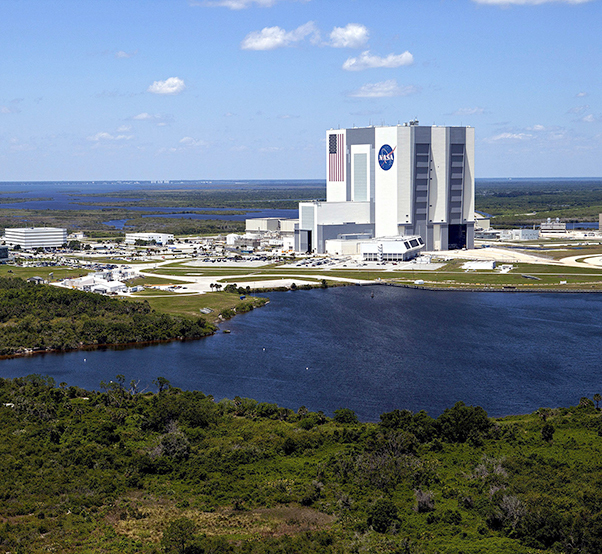 While communities nearby Kennedy and Cape Canaveral Air Force Station may be able to hear traces of the sonic booms being produced over the NASA center, Haering said residents have no reason to worry. 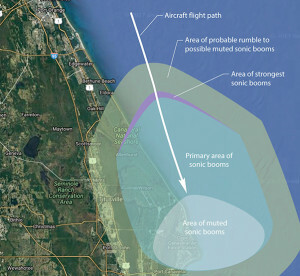 Due to the flight path of the F-18 being taken over the Atlantic Ocean east of the Space Coast, some publicly accessible beaches to the north of Kennedy that are part of the Canaveral National Seashore will be able to hear the sonic booms louder than other surrounding areas. Sonic booms can be heard as the result of shockwaves created by aircraft flying through the atmosphere faster than the speed of sound. 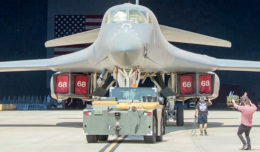 The Federal Aviation Administration, or FAA, currently prohibits supersonic flight over land due to previously flown supersonic aircraft and their associated loud, disruptive sonic boom. Decades of NASA research in supersonic flight, however, has now resulted in a unique aerodynamic design and technological advances for an aircraft that will mitigate the sonic boom, making it considerably quieter. In February 2016, NASA awarded a contract to Lockheed Martin for a preliminary design of a quiet supersonic X-plane called the Low-Boom Flight Demonstration aircraft, or LBFD. This effort recently completed a successful preliminary design review, and NASA will soon initiate the next phase of the LBFD concept through a new contract competition. 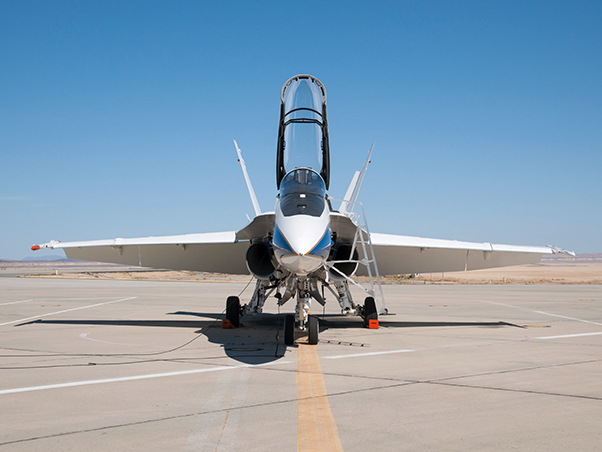 NASA will fly an F-18 research aircraft, pictured here taxiing to the runway from NASA’s Armstrong Flight Research Center in Edwards, Calif., to produce sonic booms over Kennedy Space Center. The sonic booms will be recorded by equipment both in the air and on the ground, providing NASA researchers with data to help them better understand the impact of atmospheric turbulence on sonic booms. NASA’s F-18 aircraft were obtained from the U.S. Navy, and are flown for research support and pilot proficiency. This second phase will focus on the detailed design and fabrication of the aircraft. When completed, the goal will be to fly the X-plane over communities throughout the country to test and demonstrate a quiet sonic thump. These flight tests will also provide data to the FAA for the development of potential noise standards for future supersonic flight over land.If the FAA establishes that new sound standards based on the sonic boom research has become acceptable to the public, commercial flights that can carry passengers at supersonic speeds, reducing commercial flight times considerably, could be just years away. “Supersonic flight offers the potential to improve the quality of life of those that fly, by greatly reducing travel time,” said Peter Coen, NASA’s Commercial Supersonic Technology project manager. Building supersonic aircraft in the U.S. offers a potential for growth and high-quality jobs in the aerospace and air travel industries, all of which contribute significantly to the economic welfare of our country. “In the nearer term, NASA’s development of quiet supersonic flight technology needs support, interest and engagement from the community to ensure that the potential sound is acceptable to those on the ground,” Coen said. 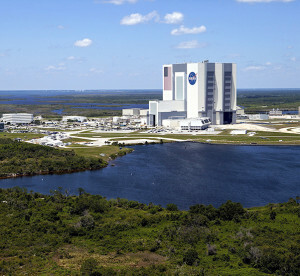 The SonicBAT flights in Florida will mark a rare opportunity for NASA’s aeronautics and space operations to comingle, and for Kennedy, showcases the center’s transformation into a 21st century multi-user spaceport.